Dr Claes Olsson from Sandvik AB’s Materials Technology division explained at the Matlab expo 2016 how Sandvik has used the MTEX toolbox for analyzing and modeling crystallographic textures by means of pole figure and EBSD data. The software has been integrated into the work of the Materials Technology division allowing an auditable methodology for quality control, meeting standards to supply to their nuclear customers (e.g. in case of rolling zircalloy with controlled texture). 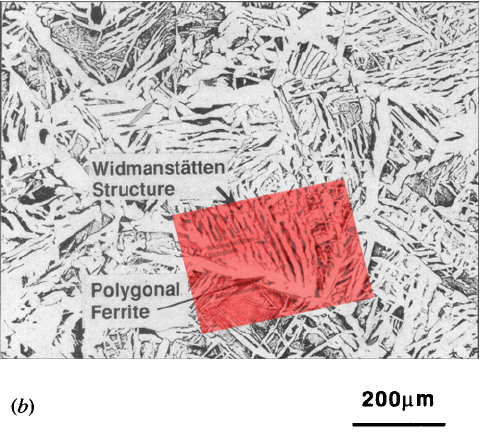 Initial example of use was with pole figure data collected with a diffractometer, but they have also used the software to analyse EBSD data. Mtex is a free toolbox released under the GNU GPL 2, which works inside the commercially available matlab environment. Sir Colin Humphreys was among the guests on this mornings “In our time” hosted by Melvyn Bragg (Baron Bragg), discussing microscopy. 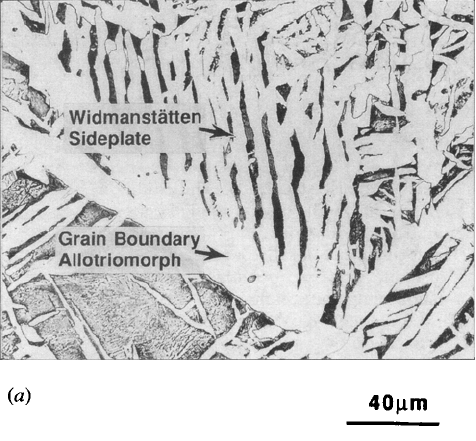 Bodnar and Hansen (writing in 1994) note that Polygonal ferrite can occur as grain boundary allotriomophs and intragranular idiomorphs. 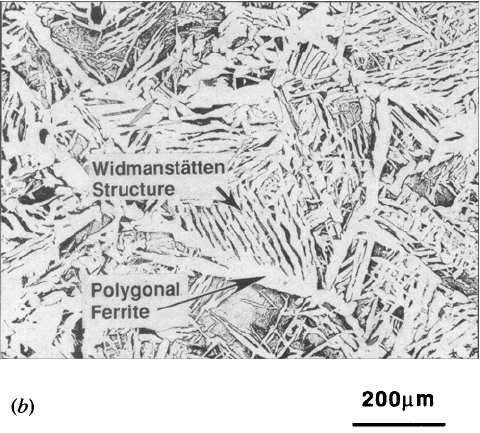 They then demonstrated the similarity between grain boundary allotriomorph and polygonal ferrite by showing the same grain boundary area at two different magnifications with different labels. In the combined image you can see that the arrow is pointing at very similar position in two figures.